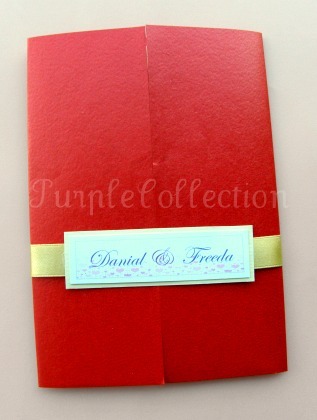 Here's the handmade Chinese Wedding invitation card by Danial and Freeda. It's a tri-fold card. To open the card, just slip off the ribbon. 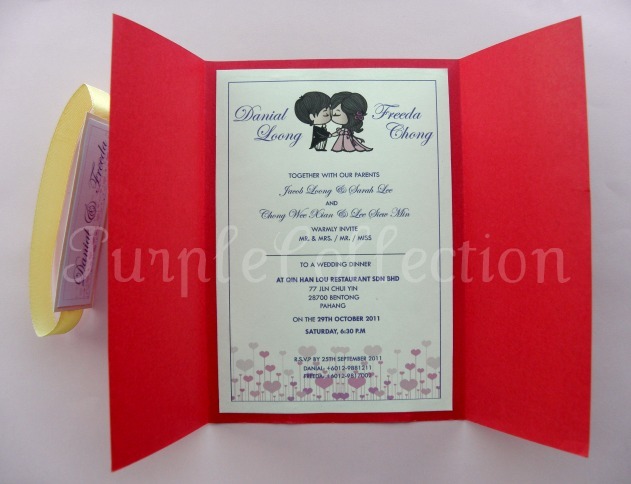 If you like this design, please click on the contact button to enquire.